Genoa is an ancient port city that is located in the north-western section of Italy, nestled between the majestic Apennine Mountains and the enchanting Ligurian Sea. This popular luxury yacht charter destination covers more 30 km of the Italian coastline. It is a major luxury superyacht port and services this part of the Italian Riviera including Portofino and the rest of the Riviera. It lies in a well-protected region of the Ligurian Sea and is some 400 km on the north-eastern section of Marseille and just about 30 km from northwest point of Fiumicino. Genoa also hosts the Genoa MYBA yacht charter meetimg charter show. The small historic fishing village of Portofino is only a few minutes cruising on your crewed luxury charter yacht from Genoa. Portofino is especially picturesque and charming and is one of the most photographed places on the Italian Riviera – usually seen with a dozen superyachts moored ‘stern to’, Mediterranean style. San Fruttuoso is an attractive fishing village of Camogli and the neighbouring port of Santa Margherita Ligure which are both recognized for their excellent restaurants and cuisine are also is also just on the other side of the headland. This ancient maritime Italian city of Genoa boasts of a rich culture and storied ancient history as well as a flourishing art setting. Sailing to the old harbour, seasoned sailors and tourists will experience a different kind of calmness and soothing sensation that are not apparent in the busier ports in Italy. If you don’t want to get entangled with the helter-skelter routine in modern seaports within the region, then this laid-back and “old” harbour is definitely your choice destination. Genoa, considered as the oldest city and most important cultural and historical centre in the northern section of Italy, is the favourite and popular choice among seasoned sailors and regular tourists as it is the best place to be when it comes to attractions related to culture and history, exquisite local cuisine, architecture and the arts. The holiday experience in the idyllic city of Genoa is unlike any other in all of Italy. Sailors and tourists who are spending their holiday in Italy on board superyachts will be enthralled by the stunning feeling of arriving at the city with its imposing old structures serving as backdrop. Surely, you will relish the unique experience of walking through its narrow alleyways with the antique palazzi on the side. On top of this snapshot of the glorious past of this ancient city, sailors and tourists will also have their hands full with the array of choices when it comes to authentic Italian cuisine, shopping options and night time entertainment. This port city is also an acknowledged economic force and an important part of Italy’s economic corridor. There are indeed a lot of things that one can enjoy and discover in Genoa. And you will surely bring an important piece of its glorious history once you decide to spend your holiday in the City. The old harbour is located in the old section of the city and features a slew of old structures and important archaeological masterpieces. Most of these important landmarks have been restored to its near perfect original state, and a day activity covering these important attractions of the old city is akin to a journey to the storied past of this popular yacht charter holiday destination. Other important attractions in the City of Genoa include the Museum of the Sea and the Aquarium. Aside from the important port within the old city, there are other marinas in several locations within Genoa, and these include those that are in close proximity to the Genova Aeroporto, the Yacht Club Italiano and the Exhibition Centre. You cannot go wrong if you decide to include in your itinerary this important port city of Italy. 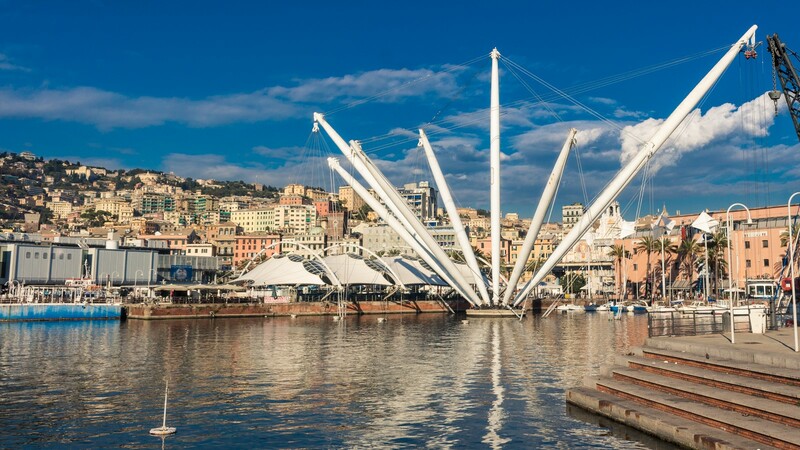 If you spend a few days in Genoa, it will make your yacht charter holiday an experience that you will definitely cherish for a lifetime.